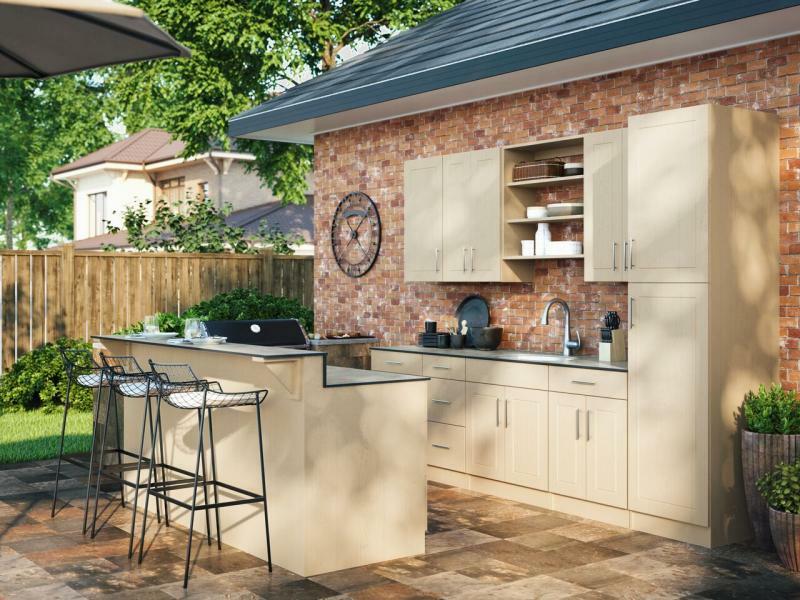 Bartow, Fla.-based Ideal Cabinetry has introduced a new line of affordable, custom-made outdoor cabinets that are shipped ready to install in 7-10 days. The company says the line turns what used to be a $20,000 job into one that costs $5,000 for a complete outdoor kitchen, island, and cooking or grilling area. Made in the U.S. from marine-grade, ¾-inch polymer, WeatherStrong cabinets stand up to harsh weather conditions, from blazing summers to freezing blizzards and everything else in between, the company says. Cabinet pieces feature dowel alignment and a fast-cure, solvent-free structural marine adhesive system. They also come with stainless steel door pulls, hinges, and drawer runners. Moreover, all cabinet orders incude 7-inch Euro-style stainless steel handles that contractors install in the field. “Full finished backs and raised bar height risers create freestanding islands or bar counters simply by combining several cabinets and installing a countertop,” the company adds. WeatherStrong cabinets come in in four factory-finished wood grain textures embossed in four styles—Miami, Palm Beach, Naples, and Key West. Three colors are available, including Radiant White, Rustic Gray, and River Sand.